Yoga uses a variety of breathing and mindfulness practises, physical postures, movements and deep relaxations to bring the mind and body back to a state of natural health. Yoga can be an invaluable resource for better managing physical pain and the stress that often accompanies it, whether you are suffering from a mild, acute or chronic health condition. 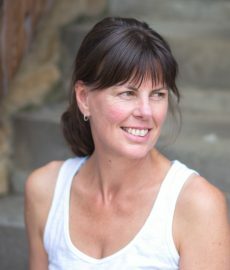 Nikki is a health consultant who has been teaching yoga and yoga therapy since 1991. She has worked extensively both in physical and mental health care, as an Occupational Therapist and Yoga Therapist in the NHS and private sector. She also runs post-graduate teacher training modular courses in Yoga Therapy for the British Wheel of Yoga. Nikki is a fully accredited Mindfulness consultant having trained with Breathworks, who are world leaders in Mindfulness for health conditions and stress. A healing and restorative class which includes mindful yoga stretches to re-align the body, breathing practises to balance energy levels and deep relaxations to calm the mind. A personalised session is much more than a few yoga exercises to condition the body. It includes a thorough assessment of your current health needs before designing a programme tailored to you. This will support you in your home practice and could involve help with managing pain, stress and tension, body misalignment, low energy levels and improving overall health. Each session will help you to manage your thoughts and calm the mind. This will bring clarity of mind, a sense of inner peace and enable you to better manage stress and physical symptoms.